This library supports the physically-based simulation of mechanical effects. In the last years position-based simulation methods have become popular in the graphics community. In contrast to classical simulation approaches these methods compute the position changes in each simulation step directly, based on the solution of a quasi-static problem. Therefore, position-based approaches are fast, stable and controllable which make them well-suited for use in interactive environments. However, these methods are generally not as accurate as force-based methods but still provide visual plausibility. Hence, the main application areas of position-based simulation are virtual reality, computer games and special effects in movies and commercials. The PositionBasedDynamics library allows the position-based handling of many types of constraints in a physically-based simulation. The library uses CMake, Eigen and AntTweakBar (only for the demos). All external dependencies are included. Physically-based simulation with position-based constraint handling. Library supports many constraints: point-point, point-edge, point-triangle and edge-edge distance constraints, dihedral bending constraint, isometric bending, volume constraint, shape matching, FEM-based PBD (2D & 3D), strain-based dynamics (2D & 3D), position-based fluids and position-based rigid body dynamics. This is just a small Latex Add-In for PowerPoint. It enables to add and edit Latex equations or symbols in a PowerPoint slide easily. The Add-In is based on ScintillaNET and supports syntax highlighting, code snippets etc. and you will get an equation in your slide. This is done by embedding your Latex code in a template. Then, latex.exe is called in order to create a DVI which is afterwards converted in a PNG file by Ghostscript. The PNG is then inserted in your slide. Your Latex code is stored in the genertated PowerPoint object. Hence, you can edit your code later. Tex&Paste is a small tool which translates your Latex code to generate an image in the clipboard. This means you can directly paste the resulting image in applications like Powerpoint, CorelDraw or Illustrator. Tex&Paste enables you to add Latex equations or symbols in any application that can handle images easily. The tool is based on ScintillaNET and supports syntax highlighting, code snippets etc. Using Tex&Paste you can enter a Latex equation easily and you will get an image of this equation in your clipboard. This is done by embedding your Latex code in a template. Then, latex.exe is called in order to create a DVI which is afterwards converted in a PNG file by Ghostscript. The resulting image of the equation can be pasted in applications like Powerpoint, CorelDraw, Illustrator, Inkscape etc. This script is not maintained anymore. Use Latex4CorelDRAW instead. I wrote a little Visual Basic script for CorelDraw to be able to use Latex equations in my figures. It was very helpful for my thesis. The script provides the possibility to create and edit Latex equations in simple dialogs in CorelDraw. IBDS is a library for dynamic simulation of multi-body systems in C++. The library simulates rigid bodies, particles, many different joint types and collisions with dynamic and static friction. The library is open source under the zlib license. So it is free for commercial use. IBDS has two meanings. It stands for Impulse-Based Dynamic Simulation and for Institut für Betriebs- und DialogSysteme which is the institute at the University of Karlsruhe where I developed the library. The documentation is mainly written in German. I will change this when I have some time. If you find a bug or have a question about the IBDS library, you can post it in the forum. An actual student research project is the implementation of my impulse-based method as a shader program. 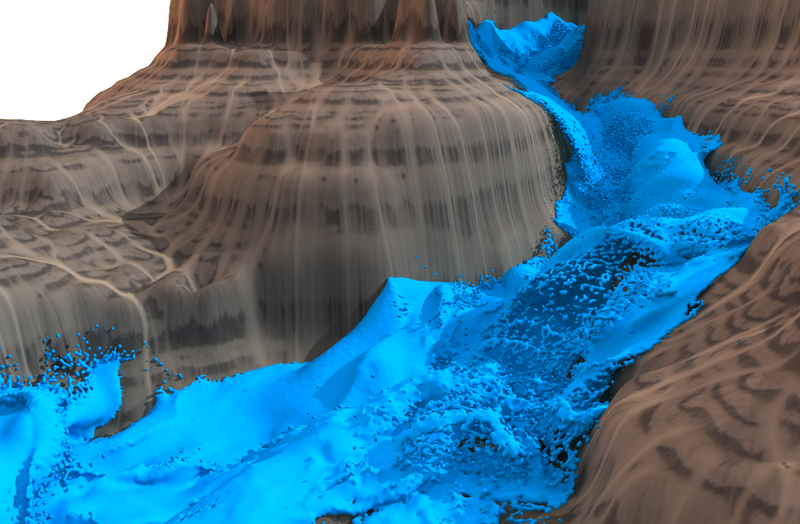 Here you can download a little demo of the dynamic simulation on the GPU. This program was written by Daniel Bayer and requires DirectX Runtime.